Production sites are as unique as the people growing them. They all have quirks, likes and dislikes. Pros and cons, needs and wants. Just like the patient and their ailments, the room has its own demands. 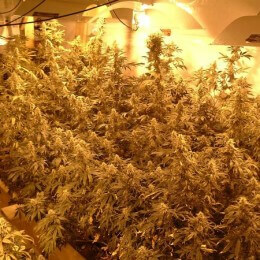 Local climate, infrastructure, amperage, plant counts, labor force, budget, water quality, strain availability, strain used etc will all dictate how and what you will be doing with your space. In my humble opinion, spending the time and money to do things right first is the only way to play (by rose). stinging out to “save” a little will actually “cost” way more in the long wrong. Keep your space clean, easy and productive by following the med-man method and growing hydroponically. Make sure to pull permits and employ certified tradesmen to do the important electrical and room building.